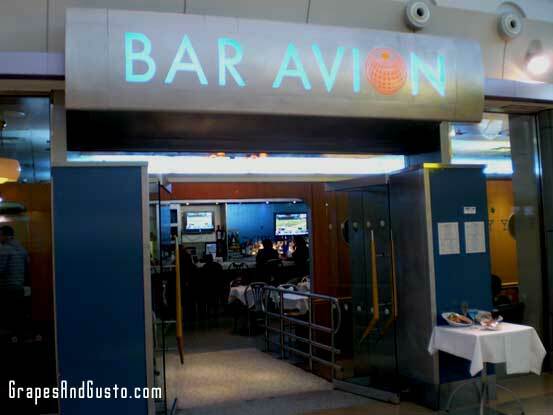 Bar Avion, at New York's JFK airport, proves that preparing for take-off can feel mod and stylish. Stale smoke, sticky floors, and the guy camped out ordering four double Long Island Iced Teas in plastic cups may be a thing of the past – or at least, a thing that does not plague all bars. Bar Avion, in New York’s JFK airport (Terminal 4) is bringing the swizzle back in the stick with its mod-meets-European design in calming blue tones. And don’t forget the actual food displayed at the door – a Japanese influence, perhaps? Bar Avion is a great example of the stylish way to prepare for take-off. Does anyone have another example of a not-too-shabby airport bar?